Fishing for Esox in the waters they live in, and being able to get any Muskie or Pike in the boat, all depends on one thing, and one thing only, and that is the colour of the water. The colour of the water marks our choice of lures, flies, or anything else which can be considered as bait for a day out fishing. It’s as simple, as to be seen or not to be seen. 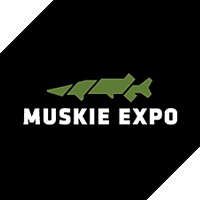 Turbid, green, clear or stained water conditions all have their own effect on the catching rate, even though most Muskie or Pike hunt with their side organs, their vision or sight is a pretty big thing for the fish. Lucky for us there are many different colour patterns made by all kind of different bait companies around the world, so there are plenty of options to choose from! Locating fish is one thing, getting fish in the net is another. These days with modern electronics like fish-finders it’s not hard to get a realtime view of what’s going on down below. But if you want to catch fish, you need to stand out from the crowd. 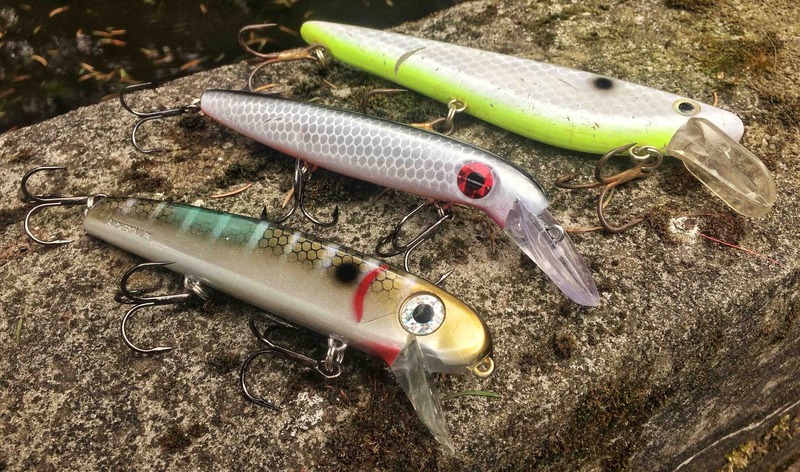 When it comes to fishing for Esox, it’s all about contrast and vibrations. Fishing for both Muskie and Pike is a colour game. In this article I will give you a clear insight of what works under which conditions, and how to handle different colours of water. Water that is turbid, is a one of a kind colour. Any body of water that turns turbid from time to time will do so after heavy rainfall, or even during a storm. Usually in early Summer of mid Fall, when the water is clear, heavy winds and rain cause the top layers of the water to turn over, creating a sort of mist in the layers below, often visible as a gray screen when you look into it. This type of water colour is where the real contrast game steps in. 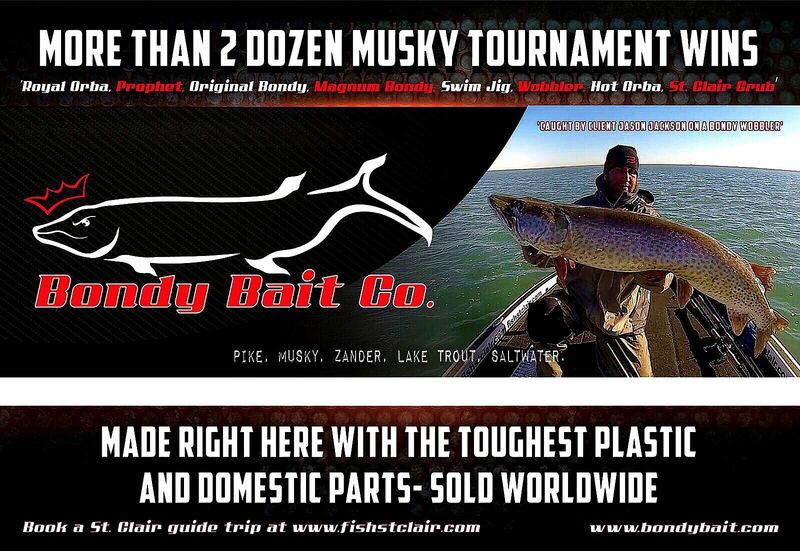 Big profile baits are essential here if you still want to catch fish, and when matching the right pattern you are almost guarenteed to catch fish. I’ve experienced this alot with Pike when fishing under these circumstances, and they go absolutely nuts on anything that stands out. So what kind of baits do we use here, and how to target turbid water Pike? Trolling the number one key factor here. Trolling get’s you down to where the fish are, and in turbid waters they can be just about anywhere. Like I said, this happends usually in Summer, but it also can occur in Fall or Winter. 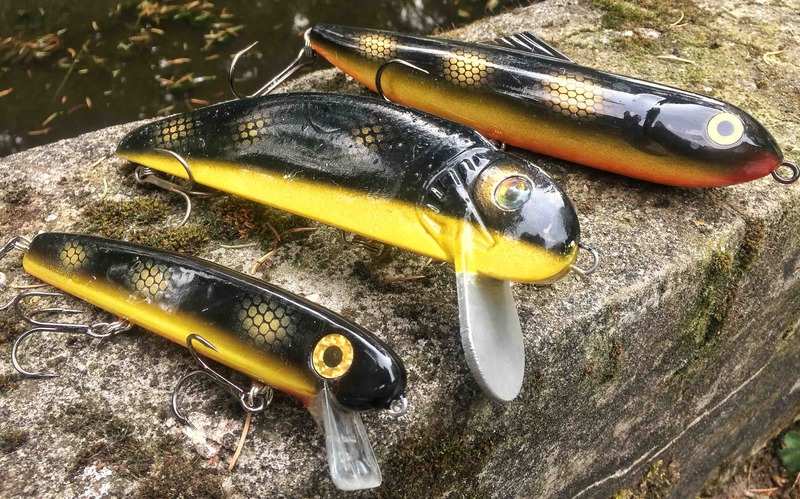 Pike can be in all different layers of the water, but when you focuss on large profile baits below are a few that you absolutely need to try! Water that is green, is probably my most favourite water colour of all time. It’s in between clear and stained. Green water is caused by algea growth and the soil moisture used by underwater plants via transpiration. In other words, the more weeds you’ll find in the water, the more greenish the water becomes. On some days when you look deep into it, you can even see it. Unlike sandy stained waters, you will see tiny pieces of plants floating around, and in combination with algea growth it causes the water to turn green. When the water has this kind of colour, the conditions are the absolute best. Fishing in water that is too clear can spook off fish. Stained water makes it hard for a fish to see your lure, but green water takes away the spooky-ness of the fish and leaves a bit of mystery around your bait. That’s what you will experience when throwing any type of lure into the water, you’ll still be able to see it, but not as good as you would in clear water. The same goes for the Pike or Muskie you’re after. They can see your bait, but they have a hard time to determine whether it’s real or not. They see the flash and feel the vibration your bait is showing off, but they don’t know if it’s real, and decide to grab it anyways. When it comes to fishing in green-ish water, there is a wide variety of baits that you can use. I personally absolutely love firetiger patterns, and bright baits. Why? They blend in nicely with the enviroment and give off enough flash to put any predator nearby into feeding mode! Fishing in clear waters can be great fun! Probably the biggest factor here is that when casting, you can see a fish coming from miles away. Especially in Summer, when the water is filled with weed growth on or near the bottom, and when the sun is shining deep down into the water, you will get aqarium like conditions! In Winter however, when all the weeds have started to die off, on sunny days you can be lucky and look as much as 20 feet down. It is a great thing to be able to see your bait or the bottom all the time, but there is also a big downside to this, and that is if you can see the fish, the fish are also able to see you, or your line, or your leader, let alone see the hooks on your bait. 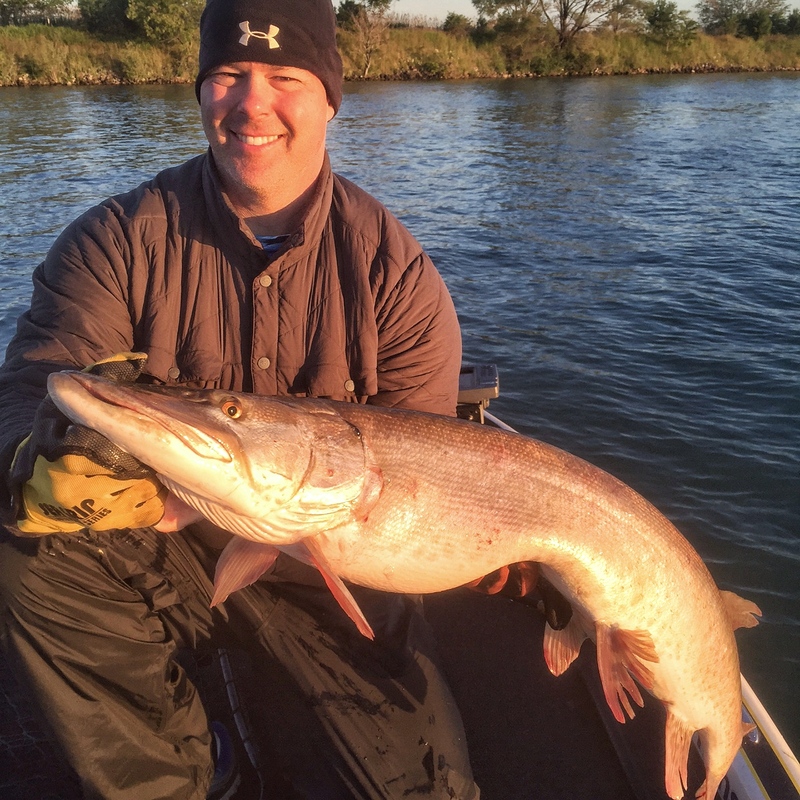 If the Esox you are after is cautious, they will consider twice before biting into your bait. If they are hungry, they just go for it. I have found that there is something special about clear waters, that they are more or less a deadbait water, since the natural colours of a dead baitfish blend in perfectly withing the surroundings. So if you still want to get into that bite, I’d suggest you to go as natural as possible! Realistic colours are key essentials here. 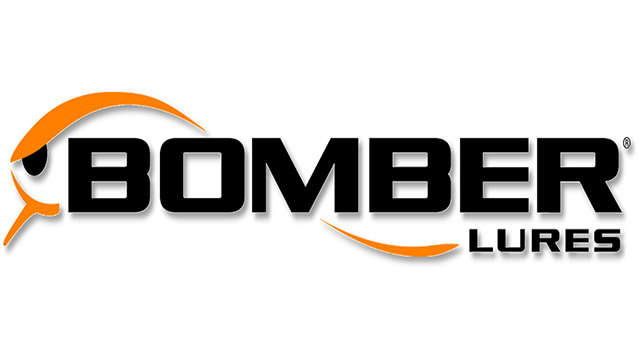 Realistic moving baits, such as swimbaits, softbaits, glidebaits, jerkbaits, crankbaits can be put to work here. How can a crankbait be realistic I hear you say? Well, you don’t want the erratic type of action, but a more natural one, like a flanker, or rolling crankbait. When the water is crystal clear, darker colour are outstanding. There are many different colour patterns which you can choose from, but the ”blackperch” is still the absolute best. 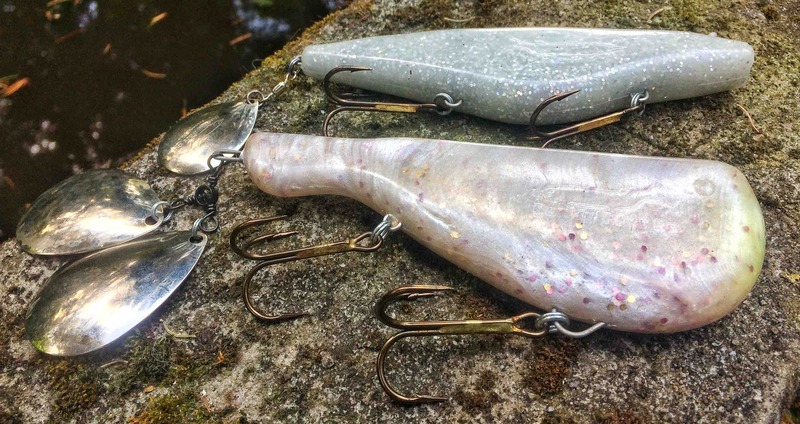 Not many baits come in this colour, but below are some that do, and they are an absolute must have for fishing clear waters! Dark brown water is stained water. Dirty water where the the visibility is close to zero. Stained water can have many reasons, but it’s most likely caused by mud flowage into an clearer body of water. How recognize it? Well, you can’t see through! When your’e out in a boat, and you put your rod tip into the water, and it dissapears after 10 inches, or you can’t see the propeller of your outboard, it’s time for a strict change. In stained water, Esox rely on their latteral scales on the side of their body. Their vision is close to zero here, although there is one colour that stands out here, and that’s white. Most people prefer black over white because it give’s away certain body profile, but I absolutely prefer white over black, and especially white crankbaits that have a tight action and wobble, or an erratic action and wide wobble. 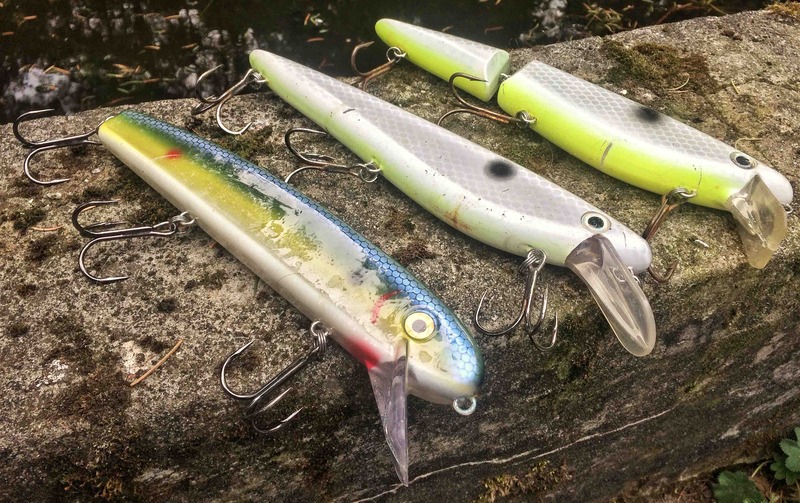 You need crankbaits that can be trolled at high speeds, even in the depths of Winter. So why is that I hear you say? Well, you want to be able to stand out in the darker water and cause as many vibrations as possible. 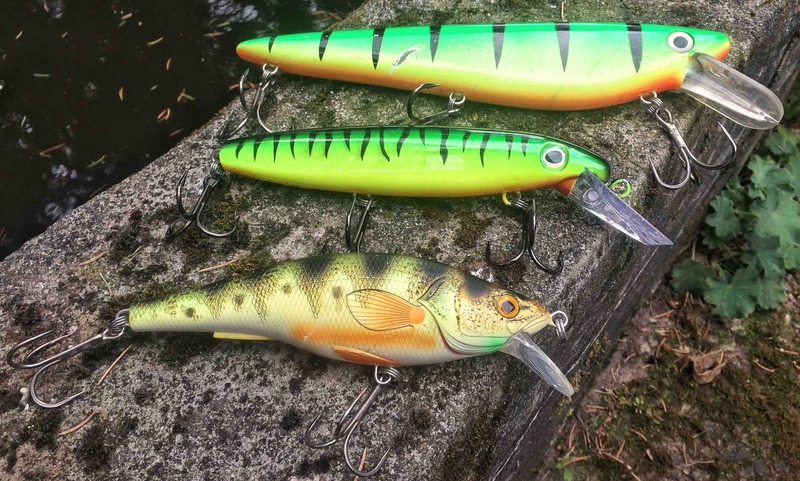 Small crankbaits like the one’s below are perfect for the job! 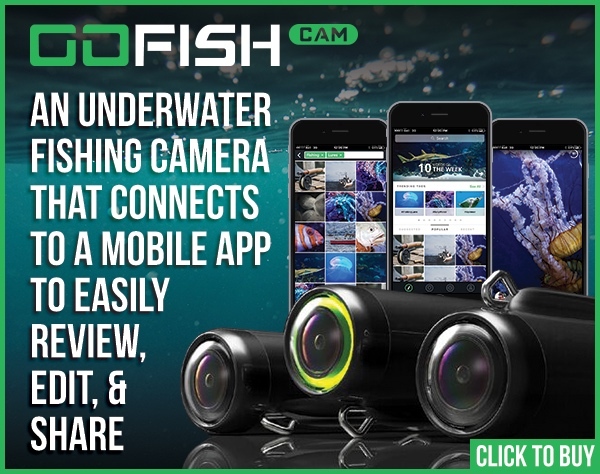 But now you get to your favourite fishing hole and you’ll find out that the visibility is abosultely zero or none, what do you do to fish it properly? You go down deep! You go all the way down to the bottom. 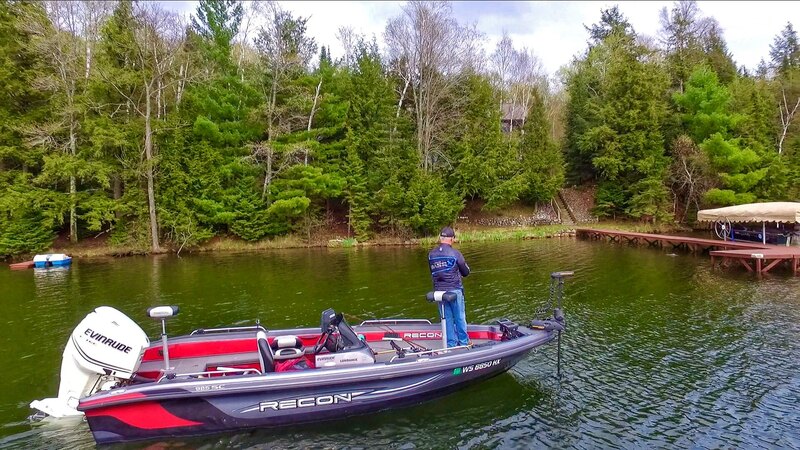 On the bottom, that’s where most of the fish live, when the visibility is close to nothing and where your catching rate is the highest when the conditions are really far from ideal. You go down deep with fast sinking baits. Jon Bondy’s creations are perfect for this! 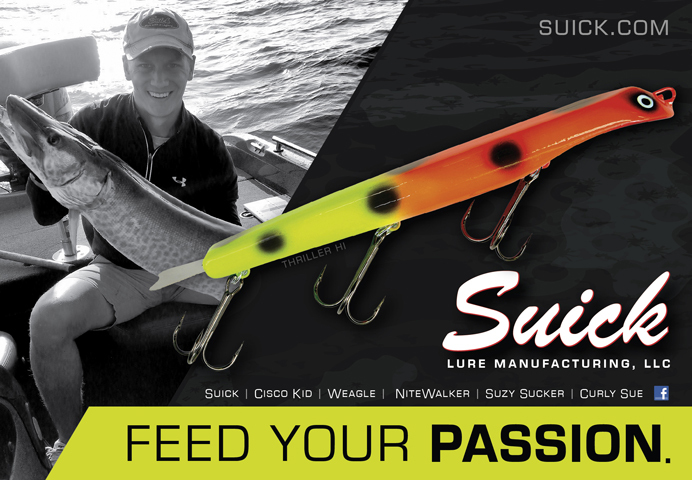 They are designed to work baits deep and close to the bottom. Imagine being a fish and having a lure in front of your face all the time dancing around. What would you do when it’s probably the only thing you’ll see that day that actually looks like a meal? Exactly, grab it, and as fast as you can. Like in turbid waters, the colour white is the go to colour. It stands out, and reflects any light that may have gone through the thick stained waters we fish in for Esox. And always remember, I said it here before and I’ll say it again; when you can’t see the propellor of your outboard, it’s time to go down real deep where the Big ones live, it’s time for jig styled baits!